"Mit Hirn, Charme und Melone. 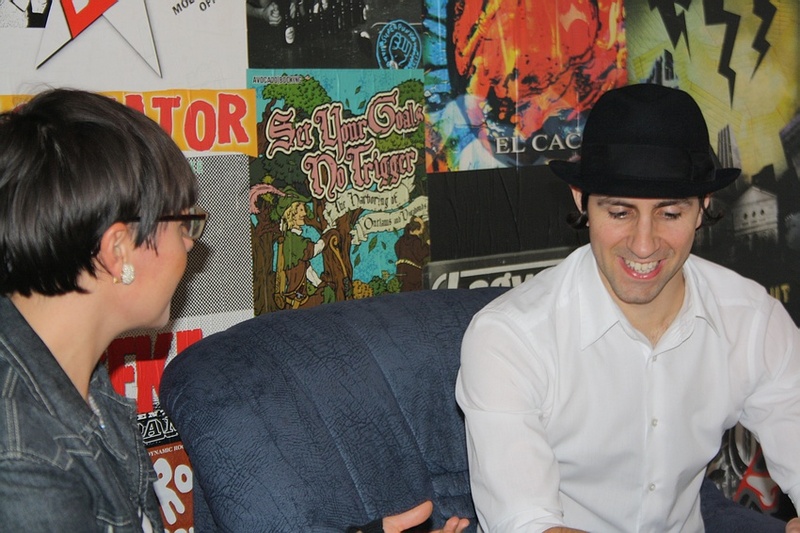 Maximo Park im Interview - britishrock.cc"
Maximo Park haben ihr neues Album “ The National Health” in Wien vorgestellt und Herzen zurückerobert. Ein Anruf nach einer mäßigen spannenden Vorlesung füllte meine Augen wieder mit Leben. 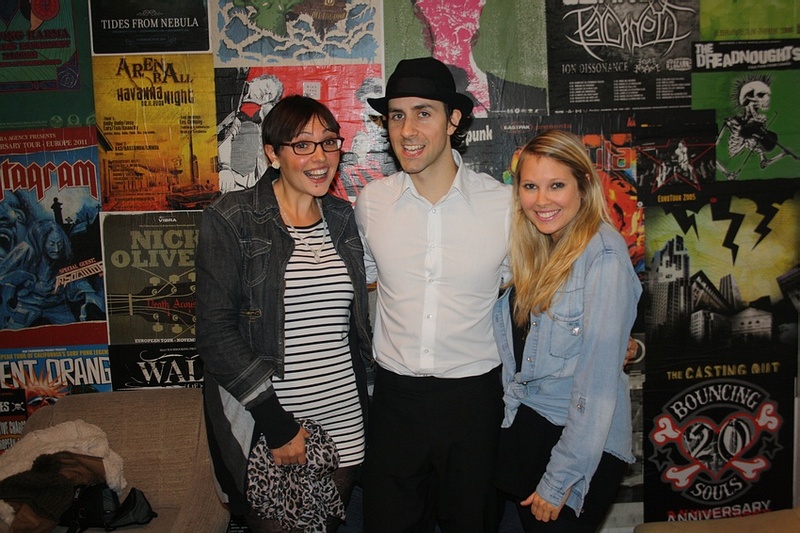 Morgen Interview mit Maximo Park, ob ich Zeit habe? Lass mich kurz nachdenken...KLAR! Die Band aus Newcastle rund um Sänger Paul Smith hat seit 2005 mittlerweile ihr viertes Studioalbum veröffentlicht, genug Stoff also für ein spontanes Date zwischen Maximo Park und mir. Ich muss gestehen, vor diesem Date war ich in verknallt, nun bin ich verliebt in Maximo Park. Die Band hat den musikalischen Soundtrack für großartige Momente in meinem Leben beigesteuert, gehörten aber nie zu meinen engsten persönlichen Favourites. Das letzte Album “ Quicken The Heart” ist auch eher spurlos an mir vorbeizogen, weswegen ich eher neugierig als gespannt auf das neue Album “ The National Health” war. Die erste Single-Auskoppelung 'Hips & Lips' hörte sich nach New Wave Maximos an, oi nein bitte nicht noch jemand der auf diesen Zug aufspringt! You said you wanted someone just like me eröffnet die zweite Singleauskoppelung 'Write this down' den Eroberungszug, mit ihrer aktuellen Single 'The Undercurrents' bin ich aufgesprungen und freue mich singend, dass Maximo Park wieder zurück sind. 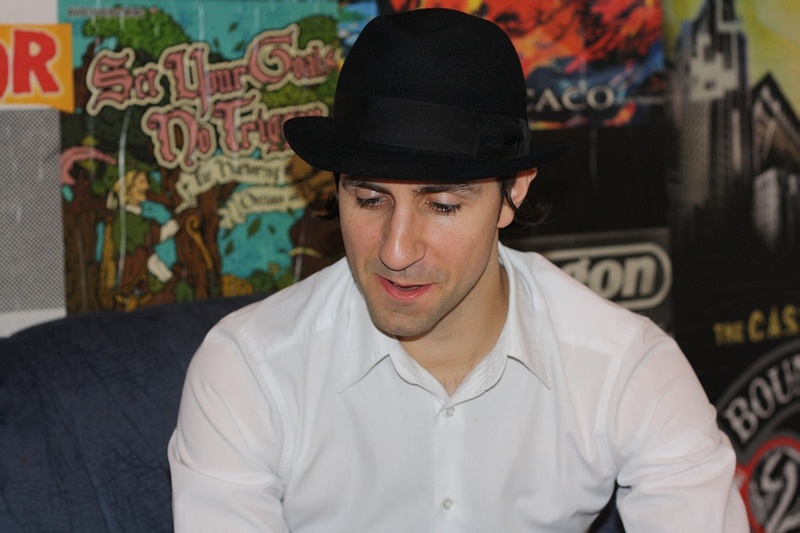 Maximo Park hatten keinen leichten Start in der Wiener Arena. Paul Smith gab sich nicht zufrieden, dass jemand ein paar nette Songs hören möchte und dazu ein gemütlich ein Bier trinkt. Geht es doch um Emotionen, Drama, Freundschaft und Liebe, may I ask you for your attention ladies and gentlemen! 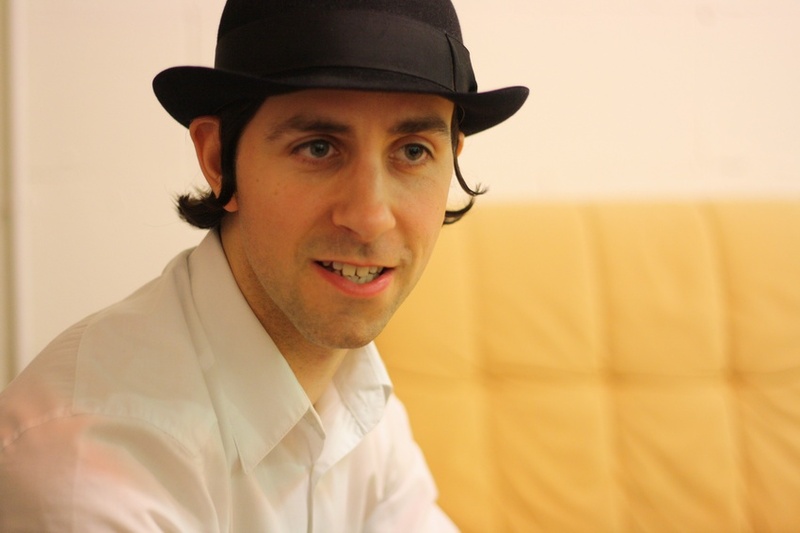 Paul Smith, ausgebildeter Kunstlehrer und Absolvent des Royal College of Art, weiß wie man mit unaufmerksamen Publikum umgehen muss, sodass Maximo Park zwei Zugaben spielten. There's nothing wrong with dancing the night away! Lektion gelernt, danke Maximo Park! We saw you recently in Austria at the Frequency, did you have a chance to see some of the bands? Paul Smith: Yeah, I was luckily enough to see The Cure, they played an immense set and I caught Hot Chip, they were my hightlights of the day. When you start writing, do you already have an idea how the result should look like? Paul Smith: Well it's not so conceptual. If you write about things which you really care about combined with personal experience it means that the music is charged with emotions which goes hand in hand with the directness of the music. We wanna create something that has some edge, is catchy and is filled with hooks. It's not like, that we are talking about this too much, it simply happens, 'cause we all love the concept of popmusic so much and is part of who we are. On the new album “The National Health” we thought of the big questions, which are asked around the world, but it also exists along to very personal songs like ' Take Me Home' or ' This Is What Becomes Of The Brokenhearted'. We always have a mix of topics and that comes from singing of what you care about, instead of being too cerebral and rational. We wanna stay with the passionate side of ourselves. In your video of the single “Hips & Lips” plays Tom Turgoose an obsessed fan. Why were you so keen to work with him? Paul Smith: Tom is a really good actor, he played in the movie This is England and is very well known for this role. He is kinda an everyman character, where you think 'Have I seen this guy somewhere before?' We wanted to create a scenario where people would think, if he is an actor, or a real fan and then have an association with the movie. It's quite a funny video and most of our videos are very 'me intense acting to the camera' so we wanted to give our fans a change of all that. 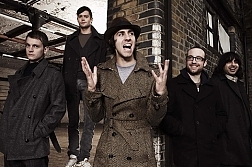 I think that you strike peoples' hearts with your lyrics so do you have an idea about your targets, a typical Maximo Park listener? Paul Smith (laughs): I couldn't tell you what they could look like, 'cause I hope our music appeals to people of different shifts, races, sizes, shapes, sexuality or whatever. Maybe people who are also quite emotional, who are sensitive to things aswell. But on the other side, I've seen some bigger older guys jumping up and down with a beer in our shows and young girls dancing and screaming in the first row, so you see a real contrast and wherever you are going the crowd is so different. But I hope that fans care about our music, listen to albums over their headphones, get some grip on stuff and spend some good time with us. Music is this kind of 'big thing' to me and hopefully people like what we are doing. Whenever there is a Maximo Park song in the club, my friends and I are immediately on the dancefloor, what brings you on the dancefloor? Paul Smith: I would say anything that has some good grove and a funky bassline, I like some sort of cheesy 80's classics like Peter Gabriels 'Sledge Hammer', you know the guilty pleasures we all have (laughs). According to the good groove I would say all kind of Motown stuff, recordings from the 50's & 60's, you know when the beat gets hold of you and also new stuff like Hot Chip or Hip Hop. Paul Smith: Yeah, I actually wrote a song before our interview today about dancing to Hip Hop, but I don't know if it ever will appear. I personally still like Hip Hop very much, I tested really out, when I started listening to music so intensly in the mid-ninetees, when I was 15 or 16. Snoop Doog, Wu Tang Clan, mostly old school stuff are still my favourites. If the world in 2012 is really about to disappear, which music of bands/artist would you take to another planet with you, if a spaceship would beam you up? Paul Smith: I would take the Go-Betweens with me and a hardly known band from Glasgow called Life Without Buildings, who only released one record and Red House Painters. These are the bands I could hear over and over again in another universe. As a member of a very well known band you got asked a lot things, but what would you consider could be an interesting fact about you which is not very well known? Paul Smith: That's a good question, well my life was pretty ordinary before it kicked off with the band and all of a sudden I toured the the whole world and experienced so many interesting things. I went to art college, which was a very important time in my life. The art collegueges in Britain give you the space to live and breath art. I met some of my best friends of all time at college and first started out with music. I played the guitar very badly with my friends Rachel and Laura, but we formed a band called Me & The Twins and we wrote melodic, but abstract instrumental music. We could experiment with photography and filmmaking and try ourselves out. This was a time of freedom and learning who we are and shaped me very much as a person who I am now. Ridley Scott also went to the same college, but I've still some time to work on his level of stardom (laughs). In 2009 you revealed that you plan a compilation of songs which are based on obituaries,what happened to that? Paul Smith: It's still in the plan, but we made a lot of these songs for the the B-sides of our singles of the second album Our Earthly Pleasures. It's fascinating for me to read about peoples' life in a number of few paragraphs, in which a whole life is packed and the songs are more a celebration of life. These 7 or 8 songs are buzzing around somewhere on iTunes and on our physical 7inch singles from that time, but we did always want to compile them and add a few songs which we never got to release. It would be a very quiet and acoustic album, and it's still an idea we think about. Like what you did with the B-sides compilation “Missing Songs” of 2009? Thank you for your the lovely interview! unveröffentlichte Polaroid Aufnahmen von weltweiten Touren mit Maximo Park. Derzeit werden im DigitalLab in Stepney Bank, Newcastle, Polaroids von Paul Smith ausgestellt, wo auch handsignierte Exemplare von “ Thinking In Pictures” erhältlich sind.